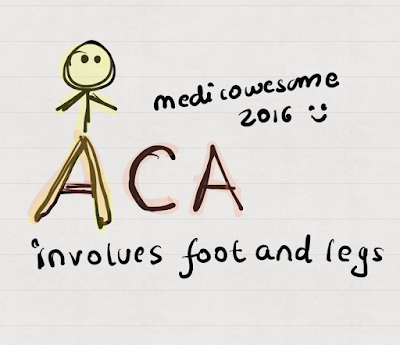 This is how I remember that stroke in the anterior cerebral artery predominantly involves hemiparesis of contralateral leg and foot. The A is between the legs! Upper triangle of "A" should help us remember bladder involvement and incontinence !